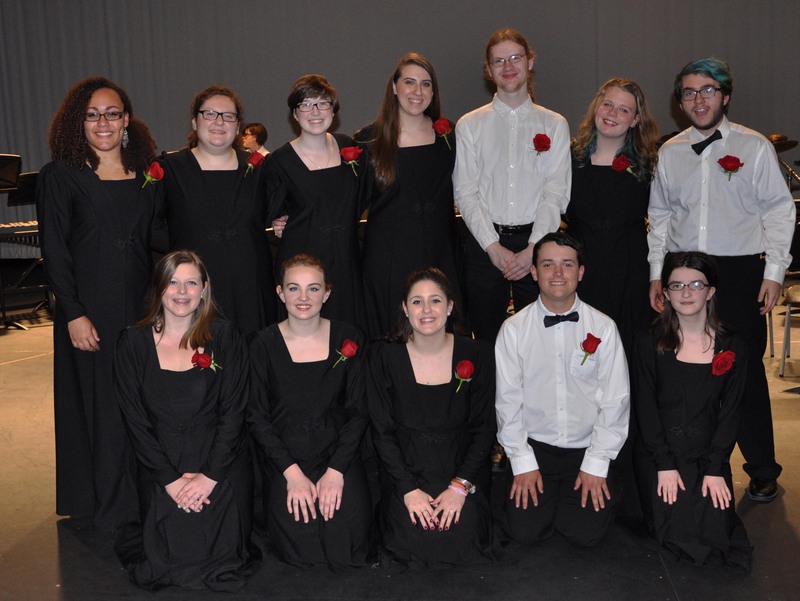 The RHS Music Department held its annual Pops Concert on May 13 in the high school auditorium under the direction of Rockland Public Schools music directors, John Piazza and Jeff Popadic. Starting off the evening the Senior High Chorus, performed “Come in from the Firefly Darkness,” “Shenandoah” (Senior’s Choice), “Away from the Roll of the Sea,” “Seasons of Love,” and the traditional “The Road Home,” with Lauren Illes, solo. Several alumni also sang with the chorus in the last selection. Senior band and chorus members: Back from left: Lauren Illes, Celia Rosa, Erika Wiley, Rebeca Portela, Gavin Annis, Sarah Kane, Jeremy Bradley.